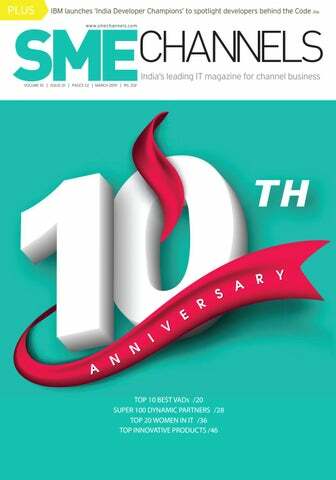 Dear friends, you will be extremely delighted to know that SME Channels has stepped into its 10th year anniversary. Therefore, first of all, I would like to thank all the industry friends and well-wishers for supporting SME Channels for last 10 years. We have gone from strength to strength by helping the technology evolution and bringing closer to the stake holders in the market including the partners, integrators and distribution alignments. Your support has given us encouragement and trust to do experiment in terms of events related to the partners. In this decade of journey, we have seen the real evolution in the tech industry. From the floppy drives to USB sticks to cloud storage, from physical network to SDN and SDWAN, from physical storage to virtual storage, from physical computing to cloud computing, all these things have happened in this industry and we have brought in right information about this. We have seen how devices are getting connected through IOT technology, how block chain is changing the transaction, how 3D printing is changing the visualization, how AR and VR are impacting the industry. Similarly, how AI is unreasoningly impacting walks of life from small businesses to very large business. We also have seen how social media marketing is changing the business outcome of an organization. How cyber security is gaining prominence. So, in these 10 years we are able to write about these technologies and impact on your business. Now next 20 years is going to be a different era all together. Digitization would be everywhere; automation and robotics would come to the fore. Cloud computing and Artificial intelligence would control the businesses. New age companies would bring more opportunities for the partners. The manner the partners used to do business would be changed. The physical products would get invisible day by day; and virtual and software enabled products would be more prominent making software as a commodity of trading. Services would be at the forefront of margin earlier. So, there would be a lot to be seen in this decade. And I promise SME Channels would stand by its commitment to decode the next generation challenges and help the partners in finding right solution and right track to do a healthy business. Keep supporting us for years to company. 360 Smart AI Wireless Smart Camera 360 SMART AI, a leading security brand with IoT products & solutions, brings another addition to its Smart Security Camera Portfolio with ‘360 Robot Camera D706’. With super Quick DIY set up, the Wireless Camera brings security and convenience, patrolling your home with a bevy of features including Zero Blind Spots & Suspicious Object Look. The camera can be installed on any surface. With 1080P HD image sensor, the Smart Home Security Camera can output 1920 × 1080P HD images including the Night Vision up to 10m of View range. Pan, Tilt, Zoom and capture from all different points, with Zero Blind Spots; the broad field of view covers every corner. The camera also supports customized patrol points and inspects the Pre-set Zones regularly. THANK YOU FOR YOUR GREAT SUPPORT Dear friends, you will be extremely delighted to know that SME Channels has stepped into its 10th year anniversary. Therefore, first of all, I would like to thank all the industry friends and well-wishers for supporting SME Channels for the last 10 years. We have gone from strength to strength by helping the technology evolution and bringing closer to the stake holders in the market including the partners, integrators and distribution alignments. Your support has given us encouragement and trust to do experiment in terms of events related to the partners. designed for developers to enhance their skills and gain hands-on experience with the latest open source technologies including Cloud, Artificial Intelligence (AI), Blockchain, Data & Analytics, and Quantum. In her opening keynote, Chairman, President, and CEO, Ginni Rometty reaffirmed IBM’s commitment to open source technologies and the ecosystem it supports while asserting three guiding principles: open governance, open collaboration and giving back to the open source community. “The IBM Developer Champions program will help shine a light on the significant contributions coming from open source developers in India – a massivelyimportant market,’’ said Bob Lord, IBM Senior Vice President, Cognitive Applications and Developer Ecosystems. for multinational businesses. Harnessing Tata Communications’ digital capabilities means that even if ROKiT Williams Racing’s engineers are thousands of miles apart, they are able to share vital data and insights, and collaborate on race strategy as if they were in the same place. True Unity Output Power Factor with high power density. High efďŹ ciency, more power, save energy cost, and maximize the IT Operation Continuity. UPS Eaton ATS Eaton ATS are designed to provide power supply redundancy for single connection equipment. With ATS, power from two independent sources can be supplied to IT equipment, which have only one input power supply. Eaton 9E-IN 1-3 kVA High efďŹ ciency, longer battery life, a new graphical LCD and advanced virtualization Capabilities. Alibaba Cloud launches Tech for Change Initiative for Social Good Alibaba Cloud, the cloud-computing arm of Alibaba Group has announced the Tech for Change initiative at the Mobile World Congress (MWC). The initiative calls for inspiring ideas and joint efforts from enterprises, start-ups, and young entrepreneurs, to tackle global social and humanitarian challenges in areas such as education, economic development, and the environment through technologies. Alibaba Cloud, which provides cloud infrastructure to transform businesses digitally, will contribute to the initiative by offering partners with access to its technology expertise, global computing resources and talent development programs including Alibaba Cloud Academy and its AI competition platform Tianchi. One of the first partnerships of the Tech for Change initiative is aimed at supporting female education across the world. The first collaboration revealed at the MWC is with iamtheCODE, the first African-led global movement to mobilize governments, businesses and the philanthropic foundation on STEAMED (Science, Technology, Engineering, Arts, Mathematics, Entrepreneurship, and Design) education. The partnership will support young women programmers in marginalized communities through free online training and free access to cloud computing resources, with the aim to enable one million woman and girl coders by the year 2030. Commvault Strengthens commitment to India market as new CEO announces marketfocused support center Newly appointed CEO, Sanjay Mirchandani, visits India to unveil a new market-focused support center, underlining continued investment in Asia Pacific and support for local markets. Commvault (NASDAQ: CVLT), a recognized global enterprise software leader in the management of data for cloud and on-premises environments, today announced a new market-focused support center in Bangalore, India with tailored support for Indian customers and partners. As part of his tour of Asia Pacific, new Commvault CEO Sanjay Mirchandani will visit the Bangalore-based center to introduce customers and partners to the new facility. The center is based at the same location as other frontline resources, the APAC regional partner support desk team and the development engineering team in Bangalore. This launch follows the expansion of Commvault’s presence in India with a move to a new and bigger office in Hyderabad earlier this year. These investments in India enable Commvault to surround the Indian market with its industry-leading support. ANT MY ERP: Optimizing Business Functions Management Ant My ERP is a SAAS based ERP software which is designed for the IT and Office Equipment Community to manage their entire business of Sales, Service, Rental, Repair, and AMC. Ant My ERP is the One Software to manage your entire business process and functions like Sales, Service, HR, Operations, Finance, etc along with integrated Task Management, Calendar, Mobile Apps and many functions. The Beauty of this software lies in Automation at every level due to which no human is required to make the Client Invoice, Challan, Manage Service Calls and many more. The Ant My ERP offers highly secure, scalable and reliable services. The high functionality, integration, and customization provide a thoroughly satisfying business model for the customers to count on. Route Mobile Launches ‘Omnichannel Platform’ for Enterprise Customers In today’s highly technology-driven world, connecting with your customers via more than one platform is not only essential but also one of the major driving forces for today’s enterprises. Understanding this requirement, Route Mobile Limited (“Route Mobile”), a cloud-communication platform service provider, has developed ‘Omnichannel Platform’, an offering for enterprise customers. ‘Omnichannel Platform’ is an all-in-one API network solution that offers multiple advantages to its customers. As a single platform, it allows enterprises from various domains such as banks, insurance, e-commerce portals, cab service providers, travel & tourism and airlines to communicate with end-users with the help of multiple channels minus the technical complexity associated with multi-channel messaging services. As a single API solution, Omnichannel Platform incorporates all existing communication modes such as SMS, emails, voice & OTT channels, allowing enterprises to reach their customers on both traditional and OTT platforms. It has been designed to address some of the key challenges faced in the communications industry today. Juniper Networks Announces Intent to Acquire MIST Systems to bring AI to IT Juniper Networks has announced that the company has entered into a definitive agreement to acquire Mist Systems, a pioneer in cloud-managed wireless networks powered by Artificial Intelligence (AI). The deal will enhance Juniper’s enterprise networking portfolio by combining Mist’s next-generation Wireless LAN (WLAN) platform with Juniper’s best-in-class wired LAN, SD-WAN and security solutions to deliver unsurpassed end-to-end user and IT experiences. Under the terms of the agreement, Juniper Networks will acquire Mist for aggregate consideration of $405 million, subject to adjustment, payable in cash and the assumption of outstanding equity awards. The proposed acquisition is expected to close in Juniper Networks’ fiscal second quarter, subject to regulatory approvals and customary closing conditions. It is expected to be slightly dilutive to FY’19 Non-GAAP EPS and slightly accretive to Non-GAAP EPS in FY’20. The acquisition will expand Juniper’s presence in the rapidly growing cloud-managed segment of the wireless networking market. Further, the deal enables Juniper to extend cloud-based management and end-to-end AI-driven visibility (“AI for IT”) across the end-to-end enterprise network (from access to the WAN) to offer an industry-leading, software-defined and highly differentiated solution for simplifying operations, improving user experience and lowering total cost of ownership (TCO). CoSoSys brings ContentAware Data Loss Prevention to the Indian market CoSoSys, a leading developer of Data Loss Prevention (DLP) solutions and security software announces one of the most important modules of Endpoint Protector – ‘Content Aware Protection’ for scanning data in motion. With its Content Aware Module, it aims to curb the threat to data security by monitoring and controlling data transfers on company networks while at the same time offering a smooth user-friendly experience that greatly reduces implementation times. Best suited for the Enterprise and Small Medium Businesses, Data Leakage Prevention (also called Data Loss Prevention or short DLP) has become one of the main security challenges for companies all over the world. Endpoint Protector’s Content Aware Protection module is the easiestto-use tool of its kind on the market. It allows companies to decide which sensitive data can leave computers by creating policies on predefined content or compliance regulations, such as GDPR, PCI DSS etc. It also logs and reports the transfer of important documents. Seqrite Endpoint Security recognized as a top enterprise security product Seqrite, a specialist provider of endpoint security, network security, enterprise mobility management, and data protection solutions, has been recognized by the prestigious AV-Test Institute in Germany. The brand has won the ‘Best Performance 2018’ award for its Endpoint Security Solution, bagging the top spot after undergoing a series of intensive testing throughout the year. The AV-Test award demonstrates Seqrite’s capability to deliver strong endpoint protection against advanced threats and attacks while making minimal use of enterprise IT resources, which was well below the industry average. This differentiated value proposition makes Seqrite Endpoint Security the perfect security solution for organizations looking to ensure that their endpoints are well-protected without hampering business output and productivity. The solution has especial relevance within emerging businesses, where the networks often have a significant percentage of endpoints with older OS and low hardware configurations. With 40% YoY Growth Array Networks India is the Fastest Growing Entity Globally Array Networks has announced YoY growth of 40% which makes them the fastest growing region for Array globally. The key contributors for this growth have been Government, BFSI, Education, Media and Transportation verticals. This tremendous growth is being attributed to Array’s contribution in smart cities development in India. In 2018, being part of India’s Smart Cities Mission has enabled Array Networks to generate over 5 million dollars revenue. This number is on the rise as Array Networks plays an active role in supporting the government advisory bodies by helping them to draft the application of cyber security policies. Array has successfully created a huge impact in both enterprise and government verticals with their Hyperconverged platform (AVX) for networking and security. Array is currently involved in various stages of implementation for over 15 smart city projects across India. Array will be part of an additional 20 to 25 smart city projects this year. Matrix Comsec launches Software Based Products They have upgraded their hardware-based PBX to a server-based PBX that can be installed on any application. In addition to this, their Centralised Management Server, can be used to access and control servers on multiple locations from a centralized server. Their Video Conferencing Solution or meeting server allows the management to organize HD quality virtual meetings with twelve participants at a time. The system also supports CIF Resolution video conferencing with up to 30 participants and audio conference calling with over 100 participants. “This is for the first time that we have launched a boxed product with fixed configuration. This has made things easier for the customers as they don’t have to spend time in getting the configuration right for the system. We do this for them now. Customers are appreciating our new functions and security solutions,” said Ronak Sharma, Product Marketing, Telecom, Matrix Comsec. Gemalto first in the world to make 5G SIM available Gemalto, announces the industry-first 5G SIM in order to meet operator requirements for the new generation of network deployments which will emerge in 2019. Compliant with the latest ETSI 3GPP specifications and SIM alliance recommendations, the 5G SIM is defined by them as the only solution capable of securing 5G network access. The Gemalto 5G SIM brings improved data privacy and seamless 5G global roaming imposed by the latest standards and is also the first to add enhanced protection against hacking to anticipate future requirements. By 2024, 5G network coverage is expected to reach 40% of the global population and will account for 1.5 billion subscriptions. Leveraging the benefits of 5G, key use cases of the new SIM are set to include enhanced mobile broadband, massive IoT applications, and critical communication infrastructures. The Gemalto 5G SIM will be available in all SIM form factors, during the first half of 2019. Key benefits of the new 5G SIM include full anonymization of end-to-end subscriber identities thanks to onboard identity encryption; it eliminates the potential to misuse such information to locate and trace individuals, or collect personal data, and ensures mobile operators comply with regulations such as GDPR. Organizations are embracing SD-WAN in unprecedented numbers for all of its advantages. However, embracing SD-WAN without a clear understanding of its security implications reduces those advantages to empty promises. Fortinet’s Secure SD-WAN solution delivers on all of the advantages that SD-WAN has to offer but with the added benefit of being part of the Fortinet Security Fabric. Integrated into FortiOS, existing FortiGate customers can easily migrate to Secure SD-WAN. New customers looking to upgrade their WAN infrastructure can leverage FortiGate’s rich mix of networking and security features. Help your customers get the best of both worlds with Fortinet’s Secure SD-WAN. SonicWall launches new platform to Protect Cloud Apps, Wireless Networks and Endpoints SonicWall has launched new platform offerings for SMBs and enterprises to protect against targeted attacks on wireless networks, cloud apps, and endpoints. The company has introduced new cloudmanaged Wi-Fi access points and wireless planning tools designed to ease the deployment of global wireless networks. SonicWall provides real-time protection for cloud applications, including G Suite, Office 365, Box and Dropbox, in addition to equipping organizations with advanced Endpoint Detection and Response (EDR) capabilities. “With the threat landscape rapidly changing, cybersecurity tools have to constantly innovate and adapt to be able to combat even unknown vulnerabilities. At SonicWall, our core objective is to equip organizations to improve their security posture. With our agile and scalable end-to-end suite of products, we are equipped to provide proven comprehensive solutions for dynamic cloud environments,” said Debasish Mukherjee, Country Manager India and SAARC, SonicWall. Trend Micro: Office 365 Require Second Layer of Defense Trend Micro Incorporated has announced that its Cloud App Security tool blocked nearly nine million high-risk email threats in 2018 as attackers continued to evolve their tactics, highlighting the importance of investing in multi-layered protection for online platforms like Office 365. The findings from Trend Micro’s Cloud App Security report detail how escalating email threat levels are exposing organizations to an increased risk of fraud, spying, information theft, and spoofing. As email remains a staple communication and collaboration tool globally, it is convenient for cybercriminals to leverage this integral, trusted platform for compromising attacks. “Organizations are increasingly looking to cloud email services to boost productivity and agility, but the Cloud App Security report reveals that— from credential phishing to business email compromise (BEC) and the use of unusual file types—hackers are employing a variety of new tactics to evade built-in controls, making it critical to invest in a second layer of defense,” said Kevin Simzer, chief operating officer at Trend Micro. Skybox® Security, a global leader in cyber risk management, won the Trust Award for Best Risk and Security Policy Management for the second year in a row at the 2019 SC US Awards. The announcement was made during the 23rd annual SC Awards gala in San Francisco, presented by SC Media. The Skybox® Security Suite has been designed to help the most complex, security-conscious enterprises to bridge security management gaps within their organizations, intelligently automating processes to support risk reduction and compliance management. This second Trust Award win in the Best Risk and Security Policy Management category is the latest in a string of accolades awarded to the platform, including being named in CRN’s 2019 Security 100 List and JMP Securities’ 70 Hottest Privately Held Companies, as well as Cyber Defense Magazine’s InfoSec Award for Best Vulnerability Management Product. Trend Micro Finds Shifting Threats Require Businesses to Rethink Security Priorities Trend Micro Incorporated has released its 2018 Security Roundup Report, which depicts a threat landscape that has evolved heavily through both approach and tactics. One shift in attacks that businesses should be aware of is the rapid growth of cryptocurrency mining, which increased 237 percent in the same time. Overall, attacks that capitalize on the human desire to respond to urgent requests from authority are on the rise, such as Business Email Compromise (BEC) and phishing, with phishing URL detections having increased an incredible 269 percent compared to 2017. Out of the 1.8 billion ransomware threats reported globally from January 2016 to December 2018, India accounted for 10% of all ransomware threats blocked by Trend Micro. And within Asia Pacific, Middle East, and Africa (AMEA), India accounted for an astounding 30% of all ransomware threats blocked. Also, India was placed in the fourth position in the number of email threats blocked by Trend Micro, which stood at 1.5 billion email threats. Over 30 million malware were detected by Trend Micro in India in 2018. RSA Extends Evolved SIEM Capabilities RSA delivering Business-Driven Security™ solutions to help manage digital risk, unveiled the newest version of its market-leading SIEM, RSA NetWitness® Platform, which features machine learning models based on deep endpoint observations to rapidly detect anomalies in user’s behavior to uncover evolving threats. “Providing security analysts with a complete platform for detection and response, from the disconnected endpoint to complete network view, integrated with machine learning and threat-aware authentication provides the visibility and actionable analytics security teams need to break down siloed views, leverage their SIEM’s data intelligence and analytics, and respond to complex threats in real-time,” said Mike Adler, Vice President, RSA NetWitness. Rockman Industries Relies on Fortinet to Protect its Manufacturing Plants from Sophisticated Threats Fortinet has announced that Rockman Industries Limited, a company that manufactures Aluminium die casting components, machined & painted assemblies for the world’s leading motorcycle and automobile OEMs has chosen Fortinet’s solutions to protect their data and Intellectual Property Rights (IPR) from advanced threats and gain real-time visibility for automated response to security incidents. Rockman Industries had a legacy firewall at the perimeter of its datacenter which was not adequate to protect its data and users from emerging sophisticated threats. Digital transformation of their business required that its five manufacturing plants to now connect with the datacenter using a secure MPLS connection. With the manufacturing plants securely connected to the network, The IT team had to ensure 24×7 availability to support growing business needs and provide secure access to its 800+ users now connected to their network from the manufacturing plants. Sextortion an Emerging Cyber Threat for Business and Employees: Barracuda Study Barracuda researchers have uncovered some startling new revelations about sextortion scams. In the past, sextortion scams were used as part of large-scale spam campaigns. Now, they’ve expanded in scope, even since Barracuda first highlighted this type of attack last fall. A recent analysis of spear phishing attacks targeted at Barracuda customers found that 1 in 10 were blackmail or sextortion attacks. In fact, employees are twice as likely to be targeted in a sextortion scam than a business email compromise attack. “The digital world has unknown vulnerabilities, and the emails often the weakest link in the security system with the highest touchpoint. Blackmailing scams are increasing in frequency, becoming more sophisticated and bypassing email gateways. Business Email Compromise (BEC) attacks are now becoming one of the most critical problems that every organization must address. User education, vulnerability analysis, threat intelligence, good backup processes, security solutions and certainly common sense will be the go to approach to tackle this issue.” Opined Asaf Cidon, Vice President of Email Security at Barracuda Networks. Palo Alto Networks Introduces Cortex, the Industry’s Only Open and Integrated, AI-Based Continuous Security Platform Palo Alto Networks, the global cybersecurity leader, introduced three significant advancements – Cortex, Cortex XDRTMand TrapsTM 6.0, aimed at harnessing the power of advanced AI and machine learning to transform how security will be managed in the future. While the Cortex Data Lake and Traps 6.0 will be immediately made availableto customers worldwide, Cortex XDR will be available to customers on March 4, 2019. Cortex, the industry’s only open and integrated, AI-based continuous security platform allows security operations teams to speed the analysis of massive data sets.Traps 6.0 acts as the ultimate data collection sensor for Cortex Data Lake, gathering the most comprehensive endpoint security data in the industry. DIGEST PORTRONICS LAUNCHES “MPORT 4C1” A 4-IN-1 MULTIMEDIA HUB. Portronics, a leading provider of innovative and portable gadgets has launched “Mport 4C1”, a 4-in-1 Type-C to Type C/USB/HDMI/VGA connector. Portronics Mport 4C1 is a smart & sleek, portable plug and play device that can solve all your woes. It is your perfect on-the-go companion which helps you to connect up to 4 different smart devices of different connector types to the Type C port of your laptop. The Multimedia Hub simultaneously connects up to 4 different gadgets to your Type C Laptop using 4 ports – a USB 3.0 at a super speed of 5GBPS, a Type C, an HDMI at 4K/60FPS and a VGA 1080P Ultra HD. TORETO LAUNCHES ‘TODS’ TOUCH BLUETOOTH EARBUDS Toreto, a leading name in the innovative and portable digital product market, has launched TODS - wireless earbuds. These earbuds allow you to get your daily dose of music while jogging, cooking or driving. Bluetooth enabled TODS get connected easily with any phone without the hassle of wires. These earbuds are sweat proof and enable you to enjoy non-stop music for a longer duration. They are designed to fit perfectly into the ear and deliver crystal clear high definition sound. With large battery backup, one can enjoy 4 hours of non-stop music. NIKI.AI PARTNERS WITH GOOGLE PAY Niki.ai, a leading conversational commerce solution for the next billion internet users of Bharat, has taken another leap forward towards getting Indians from Tier 2 and Tier 3 cities, online. The AI-powered bot has recently collaborated with Google Pay (formerly Tez), Google’s mobile payment solution for India, to further simplify online transactions for masses. Ensuring that every Indian can transact online independently, Niki provides users with the ease of voice and text-enabled transactions on a simple chat interface with multi-lingual support. It has empowered over 3 million Indians to transact online, as they can shop for numerous products and services ranging from movie booking, bus booking, hotel and cab booking to utility bill payments, mobile recharges, local deals, among others, simply by talking to Niki. ERADICATE BAD WI-FI WITH NEATGEAR’S ORBI PRO A mesh Wi-Fi system, such as the NETGEAR Orbi Pro, uses a router and one or more satellites to extend high-speed Wi-Fi coverage to the far reaches of your office. The Orbi Pro router and Orbi satellite transfer data to one another via a dedicated high-throughput wireless backhaul using patented Fastlane3 technology, creating a Wi-Fi blanket that covers up to 10,000 square feet with high-performance AC3000 (3Gbps) Wi-Fi. Employees and customers simply connect to the Orbi Pro router or Orbi satellite that offers the strongest signal, this is seamless and all happens automatically, ensuring everyone has fast, reliable access, no matter where in the office they are working. Akamai Introduces Edge Platform Enhancements Akamai (NASDAQ: AKAM), the intelligent edge platform for securing and delivering digital experiences, has announced enhancements designed to help businesses accelerate their cloud migration strategy. The new features protect content, apps, and APIs, accelerate web and mobile experiences and help make development teams more agile as they move to the cloud. “Eighty-five percent of companies today have a hybrid cloud strategy, but many have begun to realize that the cloud brings significant challenges to security, operations, and cost management. Cloud migration introduces complexity that can slow app deployments, cause cost overruns, and expose businesses to previously unknown security risks. With enhancements to our platform, Akamai surrounds and extends client infrastructures, leveraging the edge and advanced security to alleviate cloud challenges,” said Rick McConnell, President and General Manager of Akamai’s Web Division. HPE Enables Social Startups at IIIT-B to Accelerate App Development HPE’s Aruba wireless infrastructure deployed at IIIT-B Innovation Centre’s I-MACX Studios enables an ecosystem of social innovators access to seamless and secure connectivity, thereby improving time to market for their apps Hewlett Packard Enterprise (HPE) today announced that, as part of its Corporate Social Responsibility efforts under its Living Progress program, the company has deployed end-to-end wireless infrastructure from Aruba, a Hewlett Packard Enterprise company at the I-MACX Studios located at the International Institute of Information Technology, Bangalore (IIIT-B) Innovation Centre in Bengaluru, Karnataka. I-MACX (IOT-to-Mobility Apps for Community Excellence) is an IIIT-B Innovation Centre initiative, which supports startups in the area of social entrepreneurship focused on accelerating civic excellence through the intelligent use of emerging technologies. The startups being nurtured at the I-MACX Studios develop apps that enable the underprivileged, elderly, and students in the remote parts of the state to seamlessly access the services provided by governments and corporations. Dell EMC Helps Indian Enterprises Organize Unstructured Data Dell EMC’s New Solutions Deliver Extreme Performance and Efficiency and Provides Visibility, Control and Mobility of Unstructured Data The explosion of unstructured data is demanding new approaches and capabilities for organizations to unlock their data capital and enable digital transformation. To tackle these challenges, Dell EMC today announced a new addition to its flagship Isilon All-Flash storage system, along with the release of new Dell EMC ClarityNow software to give organizations visibility, control and mobility of unstructured data both on-premises and in the cloud. “As we move towards a data driven ecosystem, modernizing the IT infrastructure is an essential first step for driving digital business initiatives and managing all of the accumulated data more effectively. The Dell EMC Isilon F810 scale-out NAS storage addresses these challenges by delivering extreme performance and efficiency to support demanding unstructured data workloads. Additionally, Dell EMC ClarityNow offers organizations a holistic data view across file and cloud storage, and allows end users to locate, use and extract value from their file-based data wherever it resides,” said Nikhil Madan, General Manager & Area Director (India & APJ Global Accounts) – Data Lake & Object Storage, Dell EMC. Targeted ransomware continues: Matrix Deconstructed Sophos, released a new report about a ransomware family called Matrix. The malware has been operating since 2016 and Sophos has tracked 96 samples in the wild. Like previous targeted ransomware, including BitPaymer, Dharma and SamSam, the attackers who are infecting computers with Matrix have been breaking in to enterprise networks and infecting those computers over Remote Desktop Protocol (RDP), a built-in remote access tool for Windows computers. However, unlike these other ransomware families, Matrix only targets a single machine on the network, rather than spreading widely through an organization. In its latest paper, SophosLabs reverse engineered the evolving code and techniques employed by the attackers, as well as the methods and ransom notes used to attempt to extract money from victims. The Matrix criminals evolved their attack parameters over time, with new files and scripts added to deploy different tasks and payloads onto the network. Matrix Comsec to Unveil New-Age Security Solutions for Enterprises at ISC WEST’19 Matrix Comsec is participating in ISC WEST 2019, Las Vegas, USA on 10th April 2019. Matrix will be showcasing its comprehensive range of IP Video Surveillance, People Mobility Management – an innovative range of Access Control and Time-Attendance solutions at the event. Both these solutions are specifically designed for large and multi-location enterprises, SME and SMB organizations. Matrix is known for offering technologydriven, innovative, futuristic solutions catering to diverse and complex deployments especially for the SMB, SME and Large Enterprises. Matrix Comsec is going to unveil COSEC ARGO – The Next Generation Door Controller with a blend of performance and aesthetics. The new door controller is equipped with features like 3.5” IPS Touchscreen LCD with Gorilla Glass, Powerful Processor for Ultra-fast User identification, Intuitive User Experience, Vandal Resistant (IK08). In People Mobility Management – Access Control and Time-Attendance domain, we have launched COSEC VYOM – a scalable, cloud-based Time-Attendance and Access Control solution. BEST VADs WITH THE GROWTH IN THE NICHE PRODUCTS, DISTRIBUTION BUSINESS CHANGING ITS COLOUR AND NEW AGE DISTRIBUTORS ARE EMERGING AND THEY ARE COLLING THEMSELVS AS VADS HERE IS THE LIST OF 2019 VADS IN INDIA. VISIONARY RAJ SHANKAR MANAGING DIRECTOR Established in 1993, Redington has traversed an eventful and exciting journey to evolve from very humble beginnings into the company it is today. The incredible journey has seen it emerge from one brand, one product category, and one market into a US $6.6 billion distribution and supply chain solutions provider to over 220 international brands in IT and Mobility spaces, serving 30+ emerging markets. Today, new-age technologies like Artificial Intelligence (AI), Robotics, Big Data and Analytics, Internet of Things (IoT), and 5G communications are opening new possibilities and new opportunities for tomorrow. Redington is always ready for the new. As it entered 25th year in 2018, it had unveiled its new identity - a new logo and a new tagline. The new identity is much more than a changed brand - it signifies a new energy and a new direction. It combines the core values and reflects its collective vision of taking Redington to the next level of growth and expansion. Redington is committed to expand horizons with a new zeal, identity, and impetus. Ingram Micro Inc. is the worldâ&#x20AC;&#x2122;s largest technology distributor, providing sales, marketing and logistics services for the IT industry worldwide. Ranked at number 62 in the 2015 Fortune 500, the company operates in 160 countries with approximately 200,000 customer worldwide, including retailers and IT resellers. With revenues of more than $46.5 billion for fiscal year 2014, Ingram Micro Inc. is focused on maximizing shareowner value and achieving customer satisfaction through innovation in the Information Technology (IT) supply chain. Ingram Micro offers more than 280,000 products (as measured by distinct part numbers assigned by manufacturers and other suppliers) with inventory from 1400 technology manufacturers and leading PC suppliers to its 200,000 technology solution provider customers. Ingram Micro is also a service powerhouse delivering logistics and supply chain management services to increase value and drive efficiency for companies at all levels of the IT supply chain. For technology solution providers, Ingram Microâ&#x20AC;&#x2122;s specialized divisions offer customers technical expertise and a well-informed sales support staff trained to handle the needs of market categories such as enterprise computing, converging technologies, small-to-mid-size businesses (SMB), and the government and education sectors. The company has developed services and solutions designed to address the needs of each technology category and market segment, with expert services to support customers serving vertical and specialty markets. BIMAL DAS JOINT PRESIDENT ENTERPRISE DISTRIBUTION HCL INFOSYSTEMS A listed subsidiary of HCL, HCL Info Systems has a long-standing history of being involved ever since the inception of the IT industry in the country. With already a presence in 170 cities, 505 more points of presence are reaching 4,000 towns throughout India and operations in emerging markets including South Asia, Middle East and Africa. HCL is committed to providing robust technical knowledge platforms that will enable its partners to deliver business aligned new-age technologies and exceptional value to the customers. HCL Info Systems intends to do something for the channel community beyond what the company has been doing traditionally. This has been the clarion call of Bimal Das, Joint President, Enterprise Distribution, HCL Infosystems, who also said that the company is on its way to move from hybrid business model to do business through channel. SUNDARESAN KANAPPAN VICE PRESIDENT AND COUNTRY GENERAL MANAGER, INDIA, TECH DATA. From the smart phone in a user’s hand to complex solutions powering a global enterprise, Tech Data connects the world with the power of technology. Its end-to-end portfolio of products, services and solutions, highly specialized skills and expertise in next-generation technologies enable channel partners to bring to market the products and solutions the world needs to connect, grow and advance. As the world’s leading end-to-end technology distributor, Tech Data puts singular focus on its customers’ needs and goals with the objectivity of a true strategic partner. With reach, capabilities and resources that span the technology continuum, the company is a vital link in the IT channel, delivering the insights and optimized solutions our channel partners depend on to compete in the market today, tomorrow and into the future. BYJU PILLAI PRESIDENT AND CEO, INFLOW TECHNOLOGIES Founded in 2005, Inflow Technologies is a niche player in the IT Distribution Services market in India / South Asia Inflow Technologies Pvt. Ltd. operates as a distributer in information security, networking, unified communications, automatic identification and data capture and point of sales machines, infrastructure and application software, storage management solutions, and electronic security products and related Services in South Asia. It offers information security products; barcode printers, barcode scanning products, mobile computers, RFID, and wireless LANs; network design, implementation, and support solutions; solutions for IT governance, management and security, identity, and access management; infrastructure and application software; and IT infrastructure products, such as data storage managem. RASHI PERIPHERALS VISIONARY RAJESH GOENKA VICE PRESIDENT, SALES AND MARKETING AT RASHI PERIPHERALS Leading IT & Mobile brands have put their trust in Rashi Peripherals to penetrate into the vast Indian market since 28 years. Being one of the top 5 IT distributors in India, the company has partnered with over 9000+ dealers, retailers, and customers in over than 750 towns & cities. To cater to this vast customer base, Rashi has branches & service operations in over 51 towns of India. Rashi Peripherals has created a strong IT infrastructure and unique marketing platforms that have helped to put their partners on a pedestal. At 25% CAGR for last 15 years, Rashi Peripherals is one of the fastest growing companies in India. Their vendor names include ADATA, AMD, APC, Apple, ASUS, ECS, Fitbit, Google, HP, Intel, Logitech, Lenovo, Micron, Nvidia, Plantronics, SanDisk, Toshiba, Western Digital, VOTO smartphones and many other world-renowned brands. TechnoBind is the first Specialist Distributor in the Indian IT channel space, offering a hybrid distribution model placed synergistically between broad-based and niche distribution, to deliver high business value for its reseller partners. TechnoBindhelps partners to implement solutions, which solve specific business pain points arising out of the rapidly changing facets of technology for businesses. TechnoBind through its dedicated Cloud Services Business Unit is helping partners get their customers to adopt cloud. By employing the right strategy to harness benefits from cloud computing offerings, TechnoBind can help partners to be a part of this cloud journey of their customers thereby being relevant even when the on-premise to cloud shift happens. The company’s sole focus has been on technologies that help the customer handle his Data and the associated challenges of Data Treatment. ZAKIR HUSSAIN RANGWALA SALES & MARKETING DIRECTOR BD Software Distribution Pvt. Ltd. (BD Software) is a value-added IT security distributor offering industry-leading consumer and enterprise-level solutions in Indian market. Together with our channel partners, we focus on bridging the most comprehensive protection from malware and cyber threats to government and educational organizations, businesses and consumers. Our background, technical strength and partner network across the country enables us to lead some of the best practices in challenging and complex IT security environments. Incorporated in August 2016, BD Software Distribution Pvt. Ltd. were appointed as Country Partner for one of the top brands in Antivirus & Cyber security industry worldwide, Bitdefender. RAH INFOTECH VISIONARY ASHOK KUMAR CEO, RAH INFOTECH RAH Infotech is India’s leading tech distribution major and solutions provider in the Network and Security domain, specializing in Enterprise & App Security and Application Delivery. Founded in the year 2005 and headquartered in Gurgaon, RAH Infotech has been providing world class IT solutions to a large number of channel partners and enterprises in India and SAARC countries. RAH Infotech works in close knit with its channel partners, offering solutions that cover information security solutions, telephony and video collaboration, server and storage management, backup and disaster recovery management, BCP services, data center solutions and data protection. RAH Infotech is committed to helping its partners choose, configure, and deliver the industry’s premium products across almost every vertical market in India. COCA-COLA SECURED ITS MANUFACTURING UNITS AT PIRANGUT AND KUDUS, MAHARASHTRA, INDIA WITH MATRIX BIOMETRIC DEVICE PROJECT HIGHLIGHTS: •	Application: Access Control •	Users: 1500+ •	Devices: 40+ •	Location: Kudus and Pirangut, Maha	rashtra, India •	Credential Type: Fingerprint (with Optical Sensor) •	Industry: Manufacturing COMPANY PROFILE: Coca-Cola’s history began in 1886 and since then it has emerged as one of the most valued brands with a net worth of $74 billion. The company owns and markets more than 500 beverage brands across 200+ countries. Over the last 23 years, ever since its re-entry in 1993 in India, the company has gone on to establish an unmatched portfolio of beverages. The Company along with its bottling partners, through a strong network of over 2.6 million retail outlets, touches the lives of millions of consumers. Its brands are some of the most preferred and most sold beverages in the country. CHALLENGES: Coca-Cola has established its manufacturing units in Kudus and Pirangut, Maharashtra, India and was looking for biometric solutions to secure their premises. Coca-Cola required individual servers at both locations. Their prime requirement was to restrict unauthorized user entry into secured area. Moreover, they required user punch i.e. events for both the locations separately. However, shortage of power supply ports at both the locations was a major problem. Providing separate power for door lock, biometric device and exit switch was a concern. Coca-Cola was in search of a solution where the basic requirements of user events as well as power issue for devices are solved easily. VICE PRESIDENT- MARKETING & ALLIANCES AT INSTASAFE TECHNOLOGIES PVT. LTD.
INSTASAFE SECURE ACCESS OFFERS NEXT-GEN SDP SECURITY SECURING THE ASSETS As cyber security threat in India is growing rapidly, it necessitates innovation at the solution layer and software defined protection is becoming more a buzzword. SME Channels spoke to Rajat Sahu, Vice President- Marketing & Alliances at InstaSafe Technologies Pvt Ltd. to understand the strategy. the challenges to fix the holes created by diversified networks and 24 x 7 business demands that put them at huge risk due to exposure to security threats at multiple fronts. These are some of the factors that will be driving the IT security demand, and growth. ICICI BANK PLANS BIG FOR MSME SECTOR, ROLLS OUT NEW POLICIES MSME in India is one of the most unorganized sectors but this is the sector which employees’ maximum number of labor force in India. The biggest challenges for the MSME is to access finance to grow their business. SME Channels spoke to Pankaj Gadgil, Head- Self-Employed Segment, ICICI Bank, about their plan for MSME Segment and the future endeavors. this impact your business? We have started to build our own product, which is the GST OD, or GST Business Loan. It gives unsecured loans to customers, also known as an instant overdraft. And we have till now about 28000 customers who have availed this facility. We are planning to expand it further in the future. From the government’s perspective, there is a scheme which the government has which provides a fair guarantee, where there is a participation by the government through SEBI where there is SLRP kind of arrangement, and there is insurance cover which we have to buy from SEBI and part of the risk gets covered by SEBI. So there are some borrowers who also avail that scheme and they eagerly come to the bank for that. “THE MSME WILL ALWAYS REQUIRE ASSISTANCE AND HANDHOLDING AT ALL POINTS OF TIME, BE IT THE PAYMENT COLLECTION, BE IT ACCOUNT OPENING.” handholding at all points of time, be it the payment collection, be it account opening. So, we have 4850 branches across the country. So in these branches we are manned by people who are trained to obviously first acquire the customers. We have about 1500 branches in semi urban cities and about 1000 in rural branches. All our branches are equipped to handle any MSME customers, be it an account opening or be it lending. Our branches are also equipped with the knowledge, education and awareness of these solutions, and they offer it to their local customer which then enhances the usability of Eazypay. It is available in many regional languages, so the customer feels comfortable doing online transactions. You spoke about handholding the MSMEs as well but because of technology, there are a number of challenges that you are able to overcome when it comes to MSMEs approaching you for finance. What are the other challenges that they face? What are the challenges that MSMEs face on the finance access point of view? 22BY7 is a forerunner in Info Security, ILM & Cloud, Virtualization & Networking domains. Founded in 1993, Adit Microsys is a global IT Development and consulting firm as well as offshore services provider, with corporate business offices and development center located in Ahmedabad. ABC COMNET PRIVATE LTD HEAD OF THE ORGANIZATION SIDDHARTH SINGH, DIRECTOR ABC Comnet is a company providing quality services in IT & Telecommunication Space. Since its inception, the thrust has been to give high Standard Services and Products along with excellent comfort level to its customers. AMITY INFOSOFT PVT LTD HEAD OF THE ORGANIZATION MANOJ PATEL, FOUNDER & CEO Amity Infosoft (P) Ltd is a leading solution provider of Information Technology Infrastructure, Security Products & Services. Formerly 3in Solutions, Aspire NXT has been growing at an astounding rate. The company believes investing in the right set of people and tools, which is the foremost growth generator for the organization. The organization’s financial strength and priority for customer experience is what drives it to aspire to new heights. BMG INFORMATICS PVT LTD HEAD OF THE ORGANIZATION BHASKAR KALITA, OWNER BMG Informatics provides complete end-to-end solutions to its clients. The company’s other service offerings include Facilities management, IT Enable Services, IT Consultancy, Software & Website Development, Visualization, Cloud Computing, IT Infrastructure Development, Third Party Maintenance, System Integration and Training & Education. ABC SYSTEMS PVT. LTD HEAD OF THE ORGANIZATION SUJEET NARULA, DIRECTOR ABC Systems offers solutions and services vehicle tracking solutions Intelligent transport management. AMTRAK TECHNOLOGIES (P) LTD HEAD OF THE ORGANIZATION SANDEEP ARYA, CHAIRMAN & MANAGING DIRECTOR Amtrak, incorporated in 1991, has grown into four group companies with interests in Information Technology, Telecom, Defence equipments, and Software Development. Amtrak specializes in the fields of IT, IT Training, Electronics, Electro-Optics and Telecom and are System & Network Integrators and customized solution providers. We are authorized distributors and service providers to several leading companies worldwide. Acma is a closely held Public Ltd Company in the IT sector from the past 20 years. Office in Mumbai & Service centers in all major cities of India. The company is an ISO 9001:2000 Certified Company. HEAD OF THE ORGANIZATION ADITI JHAWAR, DIRECTOR Bard Roy Infotech (P) Ltd is one of the top system integrator partners offering an entire range of IT integrated products and services. Incorporated in the year 1995, BRIPL has traversed an enriching journey of more than a decade and has emerged as one of the largest IT Infrastructure Solution provider supporting customers from small and medium businesses to blue chip clients and also providing a specialist service for the educational institutes. ARROW PC NETWORK PVT. LTD HEAD OF THE ORGANIZATION GURPREET SINGH, MANAGING DIRECTOR Arrow PC Network Pvt. Ltd is a team of dedicated IT Professionals having vast experience of Consulting, Sourcing and Servicing IT Infrastructure products for Corporate Clients. BRUCKE NETWORKS HEAD OF THE ORGANIZATION VISHAL GARG, PROPRIETOR BRUCKE NETWORKS is Re-sellers for major IT Brands. Established in 1996, Comnet Vision came into being to provide cutting edge technology solutions in the range of products & services solutions offerings to the customers in Corporate & federal where they have not reached and are needed the most. The company seeks to target those niche technologies. Central Data Systems provides efficient IT Infrastructure solutions to complex and varied environments. Comnet Resources has emerged as one of the leading distribution house of Computer Networking Products offering an array of products in association with Global IT leaders. COMNET VISION (INDIA) PVT LTD HEAD OF THE ORGANIZATION P K SHARMA, DIRECTOR Established in 1996, Comnet Vision came into being to provide cutting edge technology solutions in the range of products & services solutions offerings to the customers in Corporate & federal where they have not reached and are needed the most. The company seeks to target those niche technologies. CLOUDSTRATS TECHNOLOGIES PVT. LTD. HEAD OF THE ORGANIZATION PIYUS KANTI With the merits of startup agility, perseverance, and dedication Cloudstrats is passionate to excel for its customers. Its ambition is to be the Best Technology Solutions company from India. CACHE INFOTECH PVT. LTD. HEAD OF THE ORGANIZATION ALOK GUPTA, DIRECTOR Cache provides system and network Integration solutions across various segments. The company has collaborated with the world’s best principles and technologies to arrive at the most cost effective and scalable solutions. Today Cache is the preferred leading system Integrator. Cache is a Business Partner of leading technology vendors. HEAD OF THE ORGANIZATION K.V. JAGANNATH, CEO & MD Choice Solutions Limited is a leading IT infrastructure and data center solution provider. We have been serving thousands of customers in and outside India since 1991. CHABRIA INFOTECH PVT. LTD. HEAD OF THE ORGANIZATION HEMANT CHABRIA, CEO Founded in 1993 Chabria Infotech assists more than 7000 organizations develop and maintain their information systems’ resources to better serve their customers. CI INFOTECH PVT. LTD. HEAD OF THE ORGANIZATION IRVINDER SINGH - DIRECTOR C.I.Infotech is driven by the technological challenges of times from virtualization to cloud computing and consolidation to security services. CLOCKWORK BUSINESS SOLUTION PVT LTD HEAD OF THE ORGANIZATION RAKESH JHA, NORTH REGIONAL HEAD Clockwork Business Solutions Pvt Ltd, established in November 2003, is a rapidly growing Information Technology driven business solutions provider to global clients, spanning a range of industry verticals including Manufacturing, Engineering, Retail, Automotive, Hi-Tech, Insurance, Education, Legal Services and Electricity Utility etc. The company’s offerings span a range of IT Consulting and Business Process Consulting Services. COMPAREX INDIA PVT LTD HEAD OF THE ORGANIZATION NAVIN KAPUR, MANAGING DIRECTOR As a global IT company with thirty years of experience, COMPAREX is one of the world’s leading IT service providers and no. 1 software license management company in the EMEA markets. DOTCAD PVT. LTD HEAD OF THE ORGANIZATION SHAISHAV SINGH, DIRECTOR DOTCAD Pvt. Ltd. is a leading System Integrator for IT Solutions, with over 25 years of experience, based at Ahmedabad & extended branch office at Baroda providing IT Services to Corporate, Government, PSU & SMB segments of Gujarat. Our services range from IT infrastructure solutions to complete enterprise solutions. We offer greater flexibility, higher efficiency and lower cost of ownership to your organization through solutions which include mobility, security, big data and cloud solutions. Datacipher is offering network design and strategy, implementation, System integration services, security practices and specialized in providing Professional Services Consulting and Certified Training. Founded in 1982, Dynamic has, over the years, earned the reputation of being one of the most trusted and dependable organisations in the IT industry supported by impeccable standards of business ethics. ESSENVISION SOFTWARE PRIVATE LIMITED DEV INFORMATION TECHNOLOGY LTD.
Dev Information Technology Ltd. is trusted today as one of the leading IT enabled services providers, having a remarkable track record of consistently delivering workable and robust solutions. HEAD OF THE ORGANIZATION NITYANAND SHETTY, MANAGING DIRECTOR EssenVision is a 22 year organization providing services and solutions in the area of Information Security. The company provides solutions in IT Security right from securing endpoints, company’s perimeter, Infrastructure, datacenter and applications and in today’s times the company has solutions protecting cloud applications of the customers. EMARSON COMPUTERS DIS TECHNO & INFORMATION SYSTEMS PVT. LTD. HEAD OF THE ORGANIZATION ASIS CHAUDHURI, DIRECTOR The incorporation of DIS Techno & Information Systems Private Limited took place in the end of 2011. The house has been engaged in the task of providing solutions in the field of information technology to its clients. HEAD OF THE ORGANIZATION SUMEET PRAKASH, EXECUTIVE DIRECTOR Emarson with its 24 years of rich experience aims to make technology work for you and to make the most out of it by deploying holistic and multiple networking solutions that will help leverage your business. The company’s experience and expertise has helped it garner clients from various verticals both from public and private enterprises. Its wide range of solutions includes wireless, mobility, security, storage, computing etc. D M SYSTEMS PVT. LTD. HEAD OF THE ORGANIZATION D K BAJAJ, CEO D M Systems is a group owned and managed by a team of professionals, dedicated to providing total IT solutions to its clients for more than 20 years. D M Systems consistently delivers unsurpassed, superior Information Technology services. ENJAY IT SOLUTIONS HEAD OF THE ORGANIZATION LIMESH PAREKH, CEO Whether you are looking for a CRM solution for sales, marketing, support or you are searching for SugarCRM partners in India, Enjay has multiple years of experience in customization and integration with CTI and other platforms. HEAD OF THE ORGANIZATION SUDHIR KOTHARI, MANAGING DIRECTOR & CEO Embee is a front-runner in the technology solutions and service industry and a key Microsoft Gold partner. With expertise in Microsoft technologies built over decades, Embee’s pools domain knowledge and passion for customer satisfaction to consistently enable organizations, enterprise to start-ups, to transform their workspaces, to achieve desired business outcomes. Embee is also the leading cloud solution provider with the highest cloud mix and active cloud usage. Embee’s solution portfolio is cohesive and in pace with rapidly changing business demands. E Square System & Technologies is a professionally managed group of engineers and business management experts rendering services since the year 2000 to a wider clientele in India having average turnover of over 25 crores in last three years. FUTURENET TECHNOLOGIES INDIA PVT LTD HEAD OF THE ORGANIZATION ASHOK L Founded in 1996 to focus on IT services, Futurenet Technologies offers consulting, integration and round-the-clock support services to its customers with the latest technologies so that their IT systems are geared to meet business challenges. The company’s ability to understand client needs, analyse their requirements, implement the appropriate solutions and monitor the process to ensure flawless service serve as its core competence. Infobahn’s goal is to provide its customers with the right IT Solutions on time and on budget. The company has grown from strength to strength in the 11 years since start-up with a turnover of over INR.400 million. Its trained and Certified Sales Representatives and Engineers are committed to working together to deliver the solutions your business needs to succeed. HITACHI SYSTEMS MICRO CLINIC HEAD OF THE ORGANIZATION TARUN SETH, MANAGING DIRECTOR Hitachi Systems Micro Clinic is a renowned brand in India for Integrated IT Solutions with advanced technology driven solutions in the field of Infrastructure, Networking, Security and Availability to clients across different industry verticals. HISYS-MC also provides expertise service solutions in Cloud Services, Managed Services and Professional Services across PAN India and globally. The Green Vision Group believes in offering solutions, started in 1990, come a long way from distributing computer systems, to offering comprehensive into tech solutions. Green Vision Group has the certified technical prowess to diagnose, analyze and trouble shoot in the areas of Network traffic, congestion Solutions and Conferencing. Today the company is suitably poised to access the evolving market needs in emerging high skill set specialized areas like System optimization. Established in 1992, Insight Business Machines has a presence in the entire country. The company has been quick to leverage new technologies and improve business efficiencies. INSPIRA ENTERPRISE INDIA PVT LTD HEAD OF THE ORGANIZATION MANOJ KANODIA, CEO Inspira is a leading IT solution provider that helps clients maximize their performance by leveraging best talents having technical expertise & domain wide experience, innovative management philosophy and comprehensive portfolio of service. Inspira has PAN India presence with offices in several metros and teams in all major sofiletate capitals & tier 1 cities to address today’s technology related challenges. The company is recognized for its exceptional client servicing & technical assistance capabilities, industryleading solutions and has bagged prestigious awards. JNR MANAGEMENTRESOURCES PRIVATE LIMITED HEAD OF THE ORGANIZATION PRASHANT JAIN. JNR Management Resources Private Limited (JNRMR) was formed in March 2003 with the objectives of providing quality consultancy services, helping clients make major strategic decisions and implement improvements to business operations, resulting in their achievement of exceptional business performance. Professional team at JNRMR has experience in fields of engineering, technical, finance and legal consultancy. KKM SOFTWARE HEAD OF THE ORGANIZATION B.RAMASWAMY, DIRECTOR KKMSOFT is a business process automation company that provides software based solutions, products and training to the manufacturing, engineering, construction, infrastructure, EPC, automotive and aerospace industry. KAMTRON SYSTEMS PVT. LTD. HEAD OF THE ORGANIZATION KAVITA SINGHAL, DIRECTOR Profile Kamtron Systems was started in 1994 by two skilled engineers who wanted to make a mark in the testing and measurement instruments segment. Since then, the company has grown consistently in the field of Electrical/ Electronic Test & Measurement Equipment with its dedicated principal companies, vendors and customers. KAPS IT SOLUTIONS PVT. LTD HEAD OF THE ORGANIZATION RAVIRAJ KAPS is the Authorised Channel Partner for HP. We provide best in class Products, Printing solutions and services for customers using Hewlett-Packard (HP) Imaging and Printing equipment. We also develop several custom solutions for customers, to address their specific imaging and printing business needs. Lauren is a professionally managed organisation with a qualified management and technical team providing innovative IT solutions to customers across the globe. LDS INFOTECH PVT LTD HEAD OF THE ORGANIZATION AMARNATH SHETTY, MANAGING DIRECTOR Since its inception in the year 1999, LDS Infotech Pvt. Ltd, has been providing world class IT Products, Services and Consulting to a diversified range of Business. MAGNAMIOUS SYSTEMS PVT LTD HEAD OF THE ORGANIZATION JITEN MEHTA, DIRECTOR Established in the year 1989, Magnamious Systems Pvt. Ltd is a system Integrator and operates in IT infrastructure space. The Company’s strengths lies principally in the trading, designing IT Infrastructure and implementing of industrial IT Products; management and execution of IT projects; sourcing, installation and servicing of technology-based Servers & Systems and represents global technology leaders, serving diverse industrial sectors and applications. MODI INFOSOL PVT. LTD. HEAD OF THE ORGANIZATION JAGDISH PRASAD MODI, CHAIRMAN Modi Infosol Pvt. Ltd. formerly known as Modi Peripherals Pvt. Ltd. is a customer oriented technology aware IT solution Provider Company providing a range of IT products and expert services to create competitive advantage. Meta Infotech Private Limited is a leading Information Technology firm. Meta Infotech is a comprehensive solution provider offering inventive solutions for the corporate world. Our activities encompass niche services specializing in IT infrastructure and Security management solutions. Meta Infotech came into existence in 1997, and since then has proactively involved itself in providing. Modi Infosol Pvt. Ltd. formerly known as Modi Peripherals Pvt. Ltd. is a customer oriented technology aware IT solution Provider Company providing a range of IT products and expert services to create competitive advantage. ORBIT TECHSOL INDIA PVT. LTD. When Orbit Techsol India Pvt. Ltd was incorporated in the year 1993, Information technology was no less than MAGIC. Growth of its customers and employees has always been the centre point of all its endeavors and the company has been consistently achieving this since decades by respecting ethics and bringing out human aspect to all our creative accomplishments. At Orbit Techsol, maintaining persistent relationships. MACAWS INFOTECH HEAD OF THE ORGANIZATION MANASI SAHA Macaws Infotech was founded in the year 1998, we are one of the leading security solution provider in Eastern India. We are in a position to offer superior level of end to end solutions and services to our esteemed customers. MACAWS INFOTECH has a desirable history of delivering complex security solutions to over 150 plus customers, helping protect the data, Intellectual Property and reputations some of the world’s most well-known organizations. Mikroz InfoSecurity has emerged as one of the most preferred Information Security & Availability partners delivering business continuity and information assurance solutions & technologies, in association with our principals. PRINTLINK COMPUTER AND COMMUNICATION PVT LTD HEAD OF THE ORGANIZATION RAJESH DORA An Enterprise System Integrator since 1997, Printlink Computer and Communication Pvt. Ltd. committed to provide best of the class service in the eld of Information Technology. PC SOLUTIONS PVT LTD HEAD OF THE ORGANIZATION DEVENDRA TANEJA, CEO PC Solutions is an established and reliable source for a wide range of technology services. We offer a comprehensive range of IT solutions to our global portfolio of clients across diverse industries such as Banking and Financial Services, Insurance, Manufacturing, Telecommunications, Retail, Healthcare, IT/ITES, Power, Media, Education, Distribution and many more. PC Solutions has extensive experience in providing end-toend IT services, integrating various complex technologies and delivering solutions in multiple geographies for over 28 years. PROGRESSION INFONET PVT. LTD HEAD OF THE ORGANIZATION J B HOODA, DIRECTOR Ever since its inception in 1995, Progression has been at the forefront of technology, delivering outstanding IT infrastructure services to create significant business value for its customers. Today, Progression is a leading IT infrastructure service provider and managed cloud services company. PROGILITY TECHNOLOGIES PVT. LTD HEAD OF THE ORGANIZATION ANIL KUMAR JAIN Progility Technologies Pvt has been active in India for the past last 25 years as a division of Siemens Ltd. (India) and Siemens Enterprise Communications Pvt. Ltd.
RUBIK INFOTECH PVT. LTD HEAD OF THE ORGANIZATION JITESH CHAUHAN, MANAGING DIRECTOR Rubik Infotech is an established IT Solutions and Service provider, known for its strong portfolio of products, customer-focus, prompt deliveries, costmanagement and clear strategies. Incorporated in 1999, as a broad-based distributor of IT products, over the years, Rubik Infotech has carefully refined its strategies and systems to create a unique business formula for growth in the IT industry. Started in 1972 to provide reliable backup power for industries, Power Centre has kept ahead of the times and has upgraded its expertise and range to cater to the age of information technology. Trusted IT partner since 1998, Progressive Infotech provides comprehensive suite of transformation and support services. The offerings span across cloud, digital and support operations, delivered through a matured and scalable service delivery model. In every client engagement, Progressive ensures clients realize higher ROI, stretch the intrinsic value of existing IT investments and are better prepared for emergent market changes. Start-IT Incubation Pvt Ltd is a hardware and software, IT infrastructure, IT Services & Solution provider. An old and trusted Hardware IT company since 1987 selling low-end to high-end HP laptops, HP desktops & HP printers to end customers through multi HP stores at multiple locations in Delhi & NCR, the company has introduced a concept of one brand retail and service centers in India. PROACTIVE DATA SYSTEMS PVT. LTD. HEAD OF THE ORGANIZATION RAJIV KUMAR Backed by more than 25 years of IT experience, Proactive is a recognized solution provider with a certified team of sales and technical professionals who have the skills, product, knowledge and commitment to help clients develop and implement the right solutions to solve their business needs. QUANTM LTD HEAD OF THE ORGANIZATION PAWAN KHURANA QUANTM always make strategic efforts to create new growth opportunities by entering into new market segments. We have been always two steps ahead in the world of evolving technologies and in providing innovative solutions to our customers. Over the last few years QUANTM has been making various strategic investments with a vision to become a formidable IT player across services, cloud, security, analytics, AI and IoT. SECURE NETWORK SOLUTIONS INDIA PVT. LTD. HEAD OF THE ORGANIZATION N K MEHTA CEO & MD. Secure Network Solutions India Private Limited, operational since October 2000, is a private limited company focusing on providing reliable business and technologies to the Indian and the overseas market. The company has an experienced team who have implemented numerous security solutions of various size and complexity. SECURE SOLUTIONS HEAD OF THE ORGANIZATION RONNY VARGHESE ABRAHAM, Secure Solutions, the pioneers in Network Security Services & Storage Solutions, provide client, gateway and server security solutions for virus, spam and spyware, firewall and virtual private network, vulnerability management, intrusion detection and prevention, Internet con tent and e-mail filtering, Traffic shaping, load balancing, remote management technologies to enterprises and service providers, with a solid management team, a qualified and dedicated support team and visionary product strategy. TAARAK INDIA PVT. LTD. HEAD OF THE ORGANIZATION HARISH TYAGI, CHIEF EXECUTIVE OFFICER Founded in 2001, Taarak has occupied a strategic position on the leading edge of the information security industry for more than 15 years, with a singular focus on effective security solutions that are able to adapt as cyber threats evolve. SAFEZONE SECURE SOLUTIONS PVT. LTD HEAD OF THE ORGANIZATION RAMESH RAMAKRISHNAN SafeZone Secure Solutions is a growing organization in the field of Network Security and Storage Solutions. Safezone has access and strong relationship with the leading vendors of network security products. SYSTECH TECHNOCRAFT SERVICES HEAD OF THE ORGANIZATION JITESH T. DAVE, DIRECTOR Formed in 2008, SYSTECH Technocraft Services is an international specialty distributor of software solutions for security application, network infrastructure, business continuity, disaster recovery, database modeling, science / engineering and other technically sophisticated products. Customers see SYSTECH as the distributor of choice for complex, technical softwares. TEAM COMPUTERS HEAD OF THE ORGANIZATION RANJAN CHOPRA Founded in 1987 Team Computers has emerged as a leading IT Infrastructure and Information Solution Provider in the last two decades. It has a national presence in all the states with robust sales and service support. SILVER TOUCH TECH. LTD. HEAD OF THE ORGANIZATION VIPUL THAKKAR, MANAGING DIRECTOR Profile Silver Touch Technologies Limited is 22+ years old, young and energetic technology superpower in the industry. The company has executed thousands of IT projects across the globe with utmost satisfaction. HEAD OF THE ORGANIZATION SURESH RAMANI, CEO A Microsoft Authorized Education Reseller, TechGyan offers Social, Mobility, Analytics & Cloud (SMAC) based Technology Services to Indian and Offshore Customers mainly around Microsoft Platform. The company offers Best in Class implementation and Consulting services around Office 365Cloud Service which is a complete Messaging, Collaboration and Communication Suite bundled with MS Office. HEAD OF THE ORGANIZATION NITIN AGGARWAL, DIRECTOR Trifin Information Technology Pvt. Ltd. was started in year 1996 and has over 21 years of rich experience as IT products and service provider. Trifin partners with technology leaders which allow the company to grow synergistically with our OEM, vendors and customers. The company has a strong team of experienced professionals which has helped us achieve various milestones since last over two decades. Shakti Enterprises is leading IT company in Computer and IT Services business since 1993. The firm provides wide range of IT products and services to small and large companies in Mumbai and other parts of India. B 3/102, GREENLAND APT., J.B. NAGAR, ANDHERI(E), MUMBAI - 400059. ADDRESS: 603, SAI PLAZA, NEXT TO SAKINAKA TELEPHONE EXCHANGE, ANDHERI KURLA ROAD, MUMBAI 400072. TechnoBind is the first Specialist Distributor in the Indian IT channel, offering a hybrid distribution model placed synergistically between broad-based and niche distribution, in order to deliver the highest business values for each of its reseller partners. 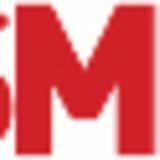 USA Memory Systems was started in year 1990 by professionals with rich experience in the CAD field in India and United States. Presently, known as USAM Technology Solutions (P) Ltd it primarily focuses on providing CAD & Graphic Solutions. It is An Authorized Training and Certification Center for Autodesk Inc USA. vCentric is an Information Technology Services and Technology Consulting Company known for its deep industry experience and high customer satisfaction. The company collaborates with clients in various industry sectors to solve their most pressing challenges from strategy through execution. 4, 1ST CROSS STREET, CIT COLONY, MYLAPORE, CHENNAI - 600 004. Technosprout is a young organization that sprung about after a lot of thought. They are your foot soldiers: armed with the right tools and solutions to ensure you never lose the data war. TM SYSTEMS PVT LTD HEAD OF THE ORGANIZATION BINIT SHAH, DIRECTOR TM systems is a leading IT company which believes in catering quality based products that are customised and platform based. Starting with just 2 employees in 1985, the company has, today, expanded profusely with a team strength of more than 225 employees. TRANSTEK INFOWAYS PVT. LTD HEAD OF THE ORGANIZATION VISHAL SOPORY, DIRECTOR Transtek Infoways successfully brings together customized IT solutions and comprehensive engineering expertise, and best-in-class products to offer solutions tailored to meet your organization’s unique business requirements. The company offers deployment services, delivery capabilities and more throughout country. Transtek Infoways has resources of far-reaching channel agreements, as well as both national and international service and delivery options, allowing it to deploy resources quickly and efficiently. WYSETEK SYSTEMS TECHNOLOGISTS PVT LTD HEAD OF THE ORGANIZATION RAJESH MATHKAR, DIRECTOR Wysetek leverages more than 2 decades of rich experience in providing Integrated Technology Solutions to SMEs and Large Corporations across India. The company is an ISO 9001:2015 Certified company whose prime focus is customer delight. Quality is at the heart of its business plans, and its customers are partners in progress. VDA INFOSOLUTIONS (P) LTD HEAD OF THE ORGANIZATION DEEPAK JADHAV, DIRECTOR Founded in 2010, VDA Infosolutions started as Infrastructure Services & System Integrator Company. Today VDA is a well-known IT solution provider offering support to various technologies like Cloud, Server consolidation using high end RISC and Intel processors, Enterprises Storage, DR-BCP & Security Solutions and overall data lifecycle management. With the rich in-house technical expertise available over the period, VDA additionally extends its services in IT Infrastructure and Data Centers, capacity planning, performance management, IS audits, & complex system Integration. XPRESS COMPUTER HEAD OF THE ORGANIZATION CHETAN SHAH, MANAGING DIRECTOR Xpress was established in 1988 by Chetan Shah, while still studying in College & working out of his home. Chetan started supplying PCs and components to companies across Mumbai & soon started developing a name for supplying reliable, high performance PCs as great prices. Soon the business spread and the company started employing its first employees while moving to a small office. 2A, MAJESTIC MANSION, 380 SVP ROAD, PRATHNA SAMAJ, MUMBAI - 400004. WOMEN CATALYSTS IN INDIAN IT Women are making their mark in the field of technology. There are countless women leaders who are leading breakthrough innovations in this fast paced every changing tech savvy world. These women are the cogs that make the wheel turn. It is said that education increases “people’s self-confidence and also enables them to find better jobs and they can work shoulder to shoulder with men.” Women are achieving great success in this field where before, women were unheard of. So, here is a list of women are who are changing the field of technology. TASNEEM SANGANI MANAGER - PUBLIC RELATIONS, SOPHOS INDIA A firm believer in the dictum, ‘learning never stops’, Tasneem is a media strategist and is an enabler in making cyber security firm Sophos a highly reputed and credible brand to reckon with. Sophos is a proven global leader in delivering innovative security solutions, offering organizations end-to-end protection against known and unknown IT threats, through products, that are easy to install, configure, update and maintain. With an experience of over 15 years, she has an in depth expertise at all things media and is equipped with effective decision making skills that she uses with deftness and dexterity. Increasing Sophos’ share of voice and placing it as one of the top 5 highly visible IT security players has been the biggest highlight of her career. GAURI AMBARDEKAR RAJE SENIOR MARKETING MANAGER - INDIA, SOUTH EAST ASIA & AUSTRALIA AND NEW ZEALAND CLUSTERS, KODAK ALARIS With over 16 years of experience working with MNCs, she is an experienced Senior Marketing Manager with a demonstrated history of working in the B2B and B2C industry. Her skills include corporate communications, PR, social media marketing, digital marketing, advertising, brand management and event management. JESSICA D’CRUZ REGIONAL MARKETING DIRECTOR - INDIA & SAARC, MARKETING- FORTINET A dynamic marketing professional with a rapidly progressive career span of over 15+ years’ with good exposure and cross cultural experience in handling & leading diverse functions like Marketing Communications, Direct & Channel Marketing, Digital Marketing, Brand Building, Events & Programs Management, Client Servicing, Corporate Communication, Marketing Operation, Managing Outsourced Relationships & Reference Programme Development. She is also skilled in developing communications strategy to engage with market through PR, e-marketing and lead nurturing campaigns and develop and maintain opt in programs through CRM database. SHEENAM OHRIE VICE PRESIDENT, MOBILITY AND SEARCH ENGINEERING, DELL IT More than 25 years of industry experience spanning Product development, Product Management, Global delivery, Operations and IT strategy, Sheenam Ohrie has worked with leading transnational organizations like Infosys, SAP and Oracle. Sheenam believes the family contributes a lot to the success of the individual – man and woman alike and therefore the support of the ecosystem goes a long way to generate that happiness. BHARATI SUDHIR SENIOR MARKETING PROFESSIONAL- IBM Bharati brings 22 years of experience in sales and marketing. She is a practitioner of Account Based, Deal Based, and Digital Marketing approaches. She works in collaboration across geographies and leading multi-disciplinary teams on projects that are both highly matrixed and linear organizations. She is a strong advocate of eco-system collaborator. She is considered as a mentor by her team mates. She specializes in Product Marketing, B2B Marketing, and Industry Marketing. REKHA MURTHY DIRECTOR, ONE CHANNEL, IBM INDIA/SOUTH ASIA With an experience of more than 25 years in the technology sector across India, Asia Pacific and the USA, Rekha has held senior and country leadership roles at leading global companies such as Harvard Business School Publishing, Wyse Technology, SAP, PeopleSoft, Digital Equipment Corporation, Korn Ferry International. She was the first woman to join Digital Equipment Corporation in Sales in India. Currently Rekha is responsible for driving overall revenue growth for IBM in collaboration with channel partners and various IBM teams with a specific focus to programmatically increase revenue across IBM’s growth areas in Cloud, Cognitive, Security, IoT, Social and Mobile. Rekha has recently taken charge of the partner business at IBM and look forward to strengthen our partner outreach and engagement. She would like to continue on the digital transformation path with our partners and expand across different client sectors and regions. She looks forward to partner clients to leverage new technologies and enable digital disruption. ARATI NAIK CHIEF OPERATING OFFICER, DIGISOL SYSTEMS LTD Born in a traditional family with multiple preexisting barriers, Nandini has disrupted the status quo with active support from her family and today is at the helm of affairs at Comnet Resources pvt Ltd (CRPL). CRPL has emerged as one of the leading distribution house of Computer Networking Products offering an array of products in association with Global IT leaders. MELISA VAZ FIELD MARKETING MANAGER - EPICOR SOFTWARE Melisa is experienced in Field Marketing with a demonstrated history of working in Information Technology and Services Industry. She is skilled in Client Servicing, Marketing & Sales, Partner Management, PR, social media marketing, Digital Marketing and various administrative related operations. She posses good organizational skills with the ability to work in new projects and get results. She has also garnered experiences in Field Marketing with deep understanding of pipeline and opportunity creation through Campaign Management, Partner Marketing, Contact Management & Sales Support. VAISHALI B SHIVSHANKAR HEAD MARKETING & COMMUNICATION - INDIA & SAARC, CHECK POINT SOFTWARE TECHNOLOGIES, LTD. Vaishali has an MBA Marketing and MIS. For her Marketing is an extended arm of business , where both work closely to achieve success. Using creative techniques to reach the larger audience and to be a part of the buyer journey is something she furtively works on. â&#x20AC;&#x153;There would be new challenges that we would encounter on a daily basis. I see this as an opportunity to innovate, get more creative and work around them. We believe in teamwork. Together we break down the objectives into realistic achievable milestones. Being agile is the key.â&#x20AC;? NIVEDITA MUKHIJA HEAD OF MARKETING - INDIA AND SAARC, NUTANIX With 15 years of experience in the Information Technology Industry, supporting Marketing to Enterprise, Mid-Market, SMB and Channel Segments. She has a rich experience in various marketing functions such as Field/Country Marketing, Campaigns Management & Marketing Communications, PR and Brand Management. She has also worked alongside leading US and UK based technology and FMCG companies. She is self driven and a consistent performer. DEEPALI MISTRY HEAD- MARKETING, SEQURETEK Deepali is a self-motivated and goal-oriented person. She is a young and creative professional with over 11 years of experience in computing and corporate communication, branding and marketing. She has an ample amount of experience in interacting with different clients and team. She endeavours to get all the work execution done on time. She can also be described as hard working, people loving team player. BIDISHA NAGARAJ VICE PRESIDENT MARKETING- SCHNEIDER ELECTRIC A postgraduate in Mass Communication, she has more than two decades of experience which spans across Brand, Consumer & Retail Marketing for established brands as well as Start Ups, Advertising, Product and Segment Development and Entrepreneurship in segments such as Consumer Non-Durable Products and Information Technology and Energy management. For the past few years, she has been engaged in formulating and executing of marketing strategy, setting up business infrastructure & processes, identifying and developing new consumer segments. DEEPTI SINGH HEAD - MARKETING & COMMUNICATIONS, VERTIV INDIA A marketing professional at work. She has lead Marketing Communication & Strategy for Enterprise Product Solution such as Data Center Solution, Industrial Solution, Telecom Solution and Service for Vertiv (formerly Emerson Network Power India Pvt Ltd). She has implemented comprehensive communication campaigns to support key marketing initiatives to drive growth. Deepti also acts as a liaison between product management and the sales force in order to effectively position and execute appropriate products and programs to optimize product presence across strategic partners. Her role also requires her to consistently communicate with Global Team on marketing programs and integrate the same with India specific requirement. .
SCINDIA BALASINGH HEAD MARKETING - COMMERCIAL, REDINGTON INDIA LIMITED Ms Scindia is one of the youngest leaders at Redington, who contributed significantly to the formation of the Commercial marketing division. The marketing team at Redington, built by her from scratch, worked on many marketing ideas and strategies, the adoption of which, yielded Redington, the Best Marketing Distributor awards from brands like IBM, Dell EMC & McAfee. The strategies and initiatives, built by her and the team, in collaboration with the stakeholders resulted in incremental business opportunities for the brands associated with Redington. The channel partners are now engaged with Redington, for a variety of demand generation activities, offered through the Commercial marketing team, driven by her leadership. Her team has also contributed significantly for the birth of Redington’s very own channel magazine called “Edge”, and also its own channel incentive programme called “Magic Box”. DEBJANI GUPTA HEAD MARKETING - INDIA, COMMS. LEAD – APJ, RSA A graduate from University of Calcutta, she is an experienced Head of Marketing with a demonstrated history of working in the computer software industry. She is skilled in Agile Methodologies, Customer Relationship Management (CRM), Go-to-Market Strategy, Analyst Relations, and Management to name a few. Anasuya heads ONGO Framework as Chief - Customer Experience Officer. She co-founded ONGO Framework in May 2011 and has over 12 years of technical and people management experience. Prior to ONGO, she was the founding member of technology consulting firm “CreativeXperts” (parent company of ONGO Framework) and materialistic in spinning a service business into a product company. Prior with starting CreativeXperts, she was with Scandinavian microsystems as a technical specialist. Anasuya heads customer experience division which helps in recording customer feedback and provide constant training plan to boost the usage. With dedication and perseverance, even today 28% of the revenue primarily comes through customer referrals. Her focus in ONGO also includes employee satisfaction, which resulted in almost negligible attrition rate. Today, the average tenure of each associate is more than 3+ years. KAMINI RUPANI CHIEF MARKETING OFFICER (CMO), NETCORE SOLUTIONS Goal-oriented Senior Corporate Strategy & Marketing Executive with over 20 years of Marketing Strategy, Digital Marketing, Product & Operations Management experience focused on growing & expanding businesses & programs through sound business strategy, focused execution & fiscal responsibility across several industries including E-Commerce, Security, Marketing Technology (MarTech), Information Technology & Telecom. She is a passionate, entrepreneurial, hands-on leader, motivated by growing companies with a focus on strategy & execution. She is skilled in identifying gaps, issues & best practices. She can also be defined as an astute digital marketer with expertise in Marketing Analytics and in implementing Integrated Online Marketing Strategy. She has a passion in building digital marketing programs with deep knowledge of concepts and technologies for Online Marketing, Social Media Marketing, and Content Marketing. With 10 year of industry experience, Deepti successfully headed the Marketing function across all channels. Ability to lead global marketing programs that contributed to increase in sales revenue and brand awareness. Recognized for highly-effective Marketing and Communications programs that quickly penetrated targeted stakeholders including the customer and partner groups, she excels in strategic planning and implementation of marketing programs in varied size companies and budgets, as well as multi-national markets. Currently, Deepti is responsible for leading the Marketing function at SUSE across four countries including India, Sri Lanka, Nepal & Bangladesh and is responsible for driving marketing operations, marketing ROI, budget management, strategies across multiple channels, branding, lead generation, digital presence and other customer/prospect outreach program. She also oversees expansion of the company’s business through strategic alliances and partnerships. Being Head of Marketing, she supports and holds the team and management to a consistently high standard of work. EVERY BUSINESS ISSUE THAT YOU HAVE, CISCO HAS A SOLUTION FOR IT As enterprises have plethora of technology challenges, Cisco as company has solutions for these challenges. Rajesh Shetty, Managing Director, Enterprise Sales, Cisco India and SAARC, opens up about CIOs challenging roles in the ever-changing cloud landscape and the role CISCO will play in it. see the CIO role going away. I don’t see people not wanting to be CIOs. It’s just that a different skill set is going to come and frankly over a period of time my belief is that more and more CIOs will come from a business background. And more and more CIOs will become the CEOs of the organization. The business level discussion that CIOs are now having is very high compared to what was happening earlier. They are getting embedded into multiple different business units. And they are getting a cross-section view which makes them an ideal candidate to become the next CEOs. If you look at the pace in which the role of CIO is evolving because of the tech, it’s becoming increasingly strategic, they are having a say in everything. Digitization has now become core to every organization. If he is able to make that connection between business and tech then I would say he is in the ideal position to evolve. And that is why the CIOs role is changing so much. There are the ones to be the next leader. WHAT IS HAPPENING IS THAT EVERYBODY THOUGHT THAT THE CLOUD IS THE SOLUTION TO ALL PROBLEMS. INCREASINGLY PEOPLE ARE REALIZING THAT CLOUD IS ANOTHER TOOL. guidance in terms of saying that this particular traffic is malicious, whereas this particular traffic is non-malicious. Because now since we are looking at every single packet, we know what benign information is going across. This wealth of information is also helping us in terms of the analytics and the automation part. Now this all is on the technology point of view. and use them that can be done in two ways. One can be the standard used cases, which we have solutions already created and we deploy that. Then the second one is because we are exposing the APIs and we have partners who are our definite partners they can come and customize according to specifications of a customer’s requirement. So in that way we are able to meet both worlds. What are we going to see from the CISCO kitty that is coming up, new acquisition, new product launch? Lots of acquisitions are coming up. Cisco and acquisition go hand-in-hand. In the past 1 year it has been very security centric. If you look at the Gartner quadrant and if you look at CISCO literally in all the technologies, we are in the leader’s quadrant and that is one area CISCO will continue to acquire talent and company. The advantage of TALOS is that since we have a large install base, we get to know about the problem faster than anyone else and then we can proactively act on it and take precaution. When WannaCry happened, we got information from multiple sources faster than anyone else and we could prevent that from happening to our customer base faster. Customer experience is another area where you will find evolution on terms of what is happening. The biggest focus will continue down the path of rearchitecting CISCO down the path of software solution, cloud based recurring subscriptions. What about CISCO Services? We are doing quite a lot on the services side. Obviously, we’ll leverage our partners very heavily. A lot of new areas where we get into is where we leverage our services. Another thing we are finding out is a lot of niche companies are coming in with lots of services experience so we are leveraging them very effectively. So, the focus on services will always continue. But we are never going to be in a situation where we compete with our partners. We are always going to look at complimenting them. BUSINESS EMAIL AND MESSAGING MARKET BOUND TO GROW As the business in India are growing in leaps and bounds, the market for mail messaging is growing proportionately. The partners need to identify the right solution provider and expand their business opportunity. This is of course a low hanging fruit which the partners can tap easily. CEO & MD, SHIVAAMI CLOUD SERVICES PVT. LTD.
VERTIV’S COMPACT UPS SYSTEM FOR EDGE DEPLOYMENTS VERTIV’S LIEBERT ITA2, A COMPACT,THREE-PHASE, Vertiv’s Liebert ITA2, is a compact, threephase, 8 and 10kVA UPS system designed for local and remote IT deployments at the edge of the network. The latest addition to the Vertiv UPS portfolio gives customers powerful, efficient battery backup solution with three-phase input and output for 208/220V IT requirements. The Liebert ITA2 is a true on-line UPS that can be used in rackmount or tower arrangements, with a compact design allowing easy installation and flexible placement in the tight spaces typical of edge deployments. Three-phase input allows users to utilize a building’s existing electrical architectures more effectively, with a power factor of up to 1.0 helping the UPS maximize rated power to the IT systems. The Liebert ITA2 saves utility costs by operating at over 93 percent efficiency in dual conversion mode and up to 99 percent in eco-mode. n Price: on Request, Warranty: On request, Contact: www.VertivCo.com. DELL XPS 13 NOTEBOOK THE LATEST XPS 13 (9370) FROM DELL, is an expression of style for users and a desire from fashion forward customers. With a robust configuration, unrivaled cinematic experience and eye-pleasing aesthetics, the XPS 13 addresses the need for stylish and powerful machines that deliver quality content on the go. Further, to the complete availability of Dell’s thin and light series, with the introduction of Dell Cinema, now more than ever, people can watch video content on their PCs with the expectation of a full cinematic experience, including studio sound and visual quality. Through Dell Cinema, an immersive three-pronged multi-sensory cinematic experience that’s unforgettably real with rich colors, uninterrupted streaming and exceptional audio.